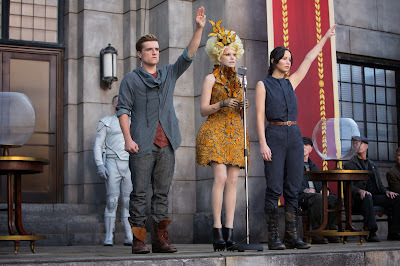 Catching Fire begins with Katniss and her co-victor Peeta Mellark (Josh Hutcherson) on a victory tour, still pretending they're romantically involved at the request of Panem's autocrat, President Coriolanus Snow (Donald Sutherland). The 75th anniversary of the Hunger Games brings the Third Quarter Quell, an event that occurs every 25th year in which a new, unusual wrinkle is added to the boring, simpler to-the-death competition. As the name implies, perhaps this atypical version of the Games is needed to amuse rebellious districts itching for an uprising every quarter century. President Snow decides to get all Survivor All-Stars up on this Quarter Quell, calling for all the competitors in this installment to be made up of surviving victors of previous games. 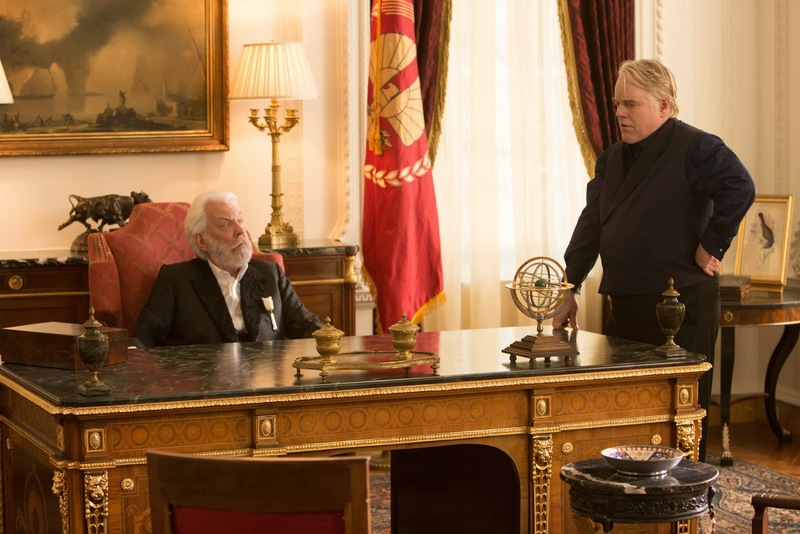 He enlists Gamesmaker Plutarch Heavensbee (Philip Seymour Hoffman), tasking him not only with creating a sufficiently lethal and entertaining game, but with discrediting and ultimately eliminating Katniss to prevent her from becoming a martyr to Panem's underclass. Now, I'm not going to be too hasty and overpraise Catching Fire. It still very much sticks to The Hunger Games formula. It takes way too long to get the Games started, nearly an hour. The first hour is an unnecessary exposition dump that one could argue reboots the franchise away from the inappropriately sunnier aspects set out in the previous film. But after about 15 minutes, I'm fairly sure even the first movie's most ardent fans get that this is a departure of sorts. Here, Lawrence reminds me more of a super-powered Ree Dolly, her Winter's Bone hillbilly character hunting small animals to provide for her family, than she does of the lustrous Katniss in Ross's film. Woody Harrelson's Haymitch Abernathy is not the archetypal lovable mentor who gets tipsy, but a faded, alcoholic has-been. People are actually executed and tortured, not just threatened with the idea of those. a sharp contrast to the innocence and naivete that still hasn't been obliterated in Katniss. Wright and Plummer's characters are a strong counter-proposition to Katniss and Peeta's teamwork, arguing that perhaps relying too much on your teammate may hinder your chances for survival. The Game itself feels less random, more structured, a necessity perhaps because of how pivotal it becomes to Catching Fire's plot late in the film. 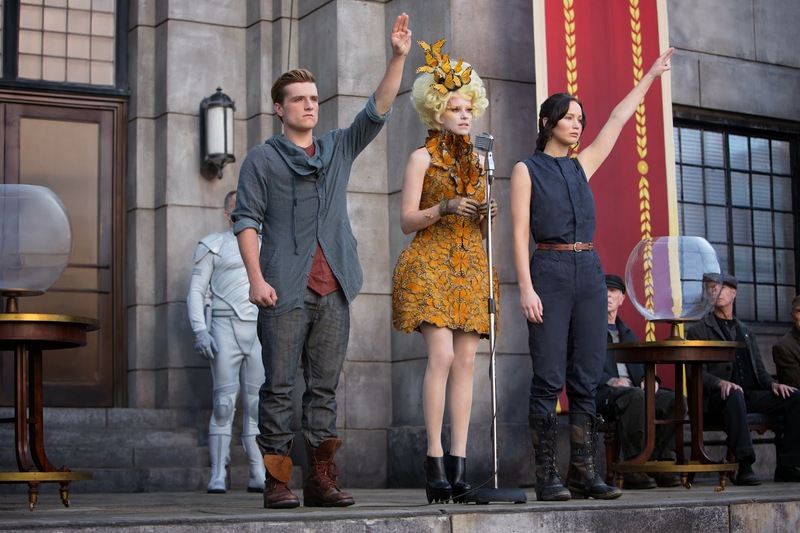 The Hunger Games: Catching Fire won't necessarily make you a fan if you're not already invested in the series. But it is diverting enough for parents, friends or significant others forced to watch the film with someone who loves it more intensely. And that's more than I could say for the last movie.